After World War II, Peugeot fell into financial hardship. 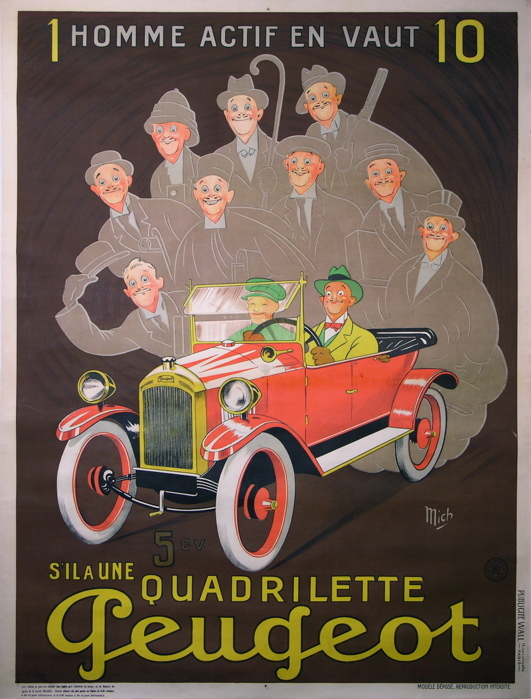 To help boost sales, they developed the Quadrilette, a smaller, economically-designed car. It became the first of such types of automobiles to be made in the post-War period, making it exceptionally popular. Here, we see smoky examples of every type of man who should be behind the wheel of the new Quadrilette.